After many tramites our baby now has 2 passports, one Peruvian and one Belgian. We just picked up the Belgian passport at the Belgian embassy in Lima and will be flying to Amsterdam on Sunday, spending the holidays in Belgium with pepe and meme. 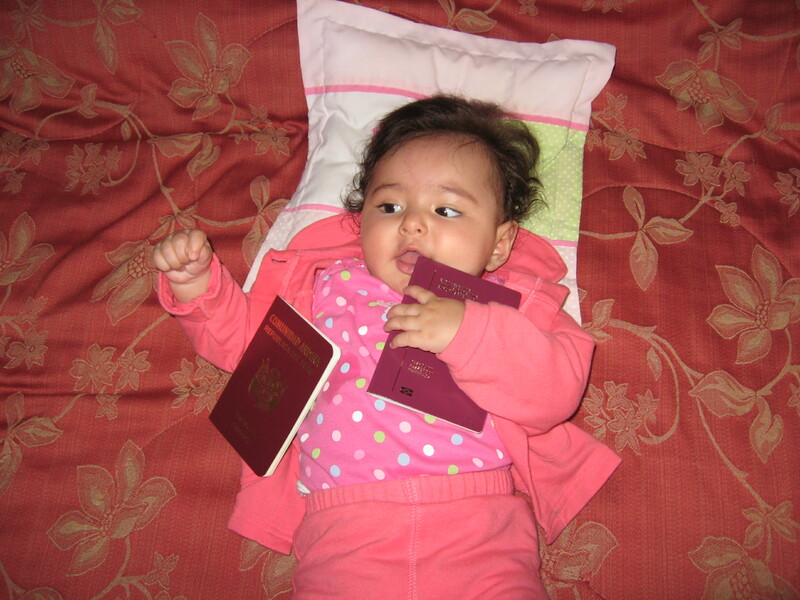 Since baby Brianna Nayaraq is getting ready to go on an international trip, I think I’ll sign her up on the Facebook group I have more foreign policy experience than Sarah Palin… I mean, nothing personal, but Sarah Palin didn’t get a passport until 2006. At any rate, wish us a good trip Sunday and we hope everyone gets a chance to spend the holidays with friends and loved ones like we will. This entry was tagged foreign policy, holidays, passports, Sarah Palin. Bookmark the permalink. Gracias Matthew. Feliz Navidad y Feliz Año Nuevo!